Only 20 Spots Left At Our Conference -- Get Your Ticket Now! 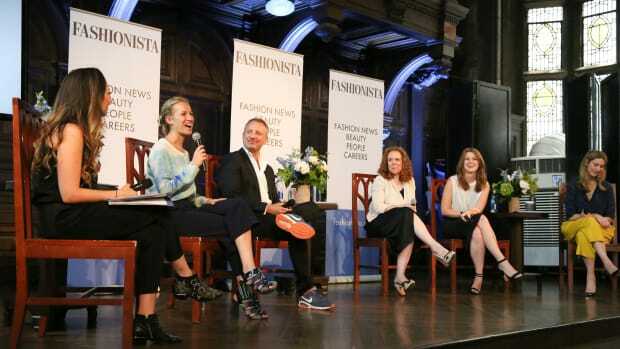 Hard to believe, but there&apos;s only a week and a half to go before our "How to Make It in Fashion" conference at New York City&apos;s High Line Hotel on June 27! If you haven&apos;t snagged a ticket yet, what are you waiting for? Along with top industry speakers like Elle&apos;s Robbie Myers, InStyle&apos;s Ariel Foxman, Teen Vogue&apos;s Amy Astley, designer Misha Nonoo; DKNYPRGirl Aliza Licht and Loeffler Randall&apos;s Jessie Randall, the day&apos;s events include three super-informative, useful panels you won&apos;t find anywhere else. If you&apos;re obsessed with tech, you&apos;ll definitely want to catch our first panel. Featuring Pose co-CEO Alisa Gould-Simon, NARS digital media director Heather Park, Ippolita CMO Ashley Bryan and Gilt CMO Elizabeth Francis, we&apos;ll be focusing on the career opportunities that come with the ever-changing technology landscape in the fashion and beauty industries. Panel Two is all about young designers. Launching your own label is still a huge undertaking -- but with advice (and personal anecdotes) from NYC Fashion Production Fund director JoBeth Tananbaum, CFDA professional development manager Johanna Stout, IMG global creative director Jarrad Clark, Launch Collective founder Shira Sue Carmi and Nonoo designer Misha Nonoo, you&apos;ll leave feeling inspired, creative and confident. Or if beauty&apos;s more your beat, our third panel is right up your street. Yahoo Beauty&apos;s managing editor Britt Aboutaleb, Beautycounter CEO and founder Gregg Renfrew, Restorsea CEO and founder Patti Pao and Rouge NY founders Stephanie March and Rebecca Perkins will be here to shed light on the exciting beauty biz -- and where you fit into it all. Spots are going fast -- there are only 20 tickets left! And trust us: You won&apos;t want to miss this once-in-a-lifetime opportunity. See you there! There's Only 20 Spots Left at Our New York Conference — Get Your Ticket Now! The gift bag alone is worth it. Grab Your Tickets for Our Conference Now to Score the Early Bird Special! Get tips from industry insiders -- for a discounted rate! There's Only a Few Spots Left for Our LA Conference--Grab Your Tickets Today! There Are Only 10 Seats Left at Our LA Conference! Our How to Make It in Fashion conference is hitting Los Angeles in two days -- Friday, November 8 -- and we've only got 10 seats left!